How special is this? 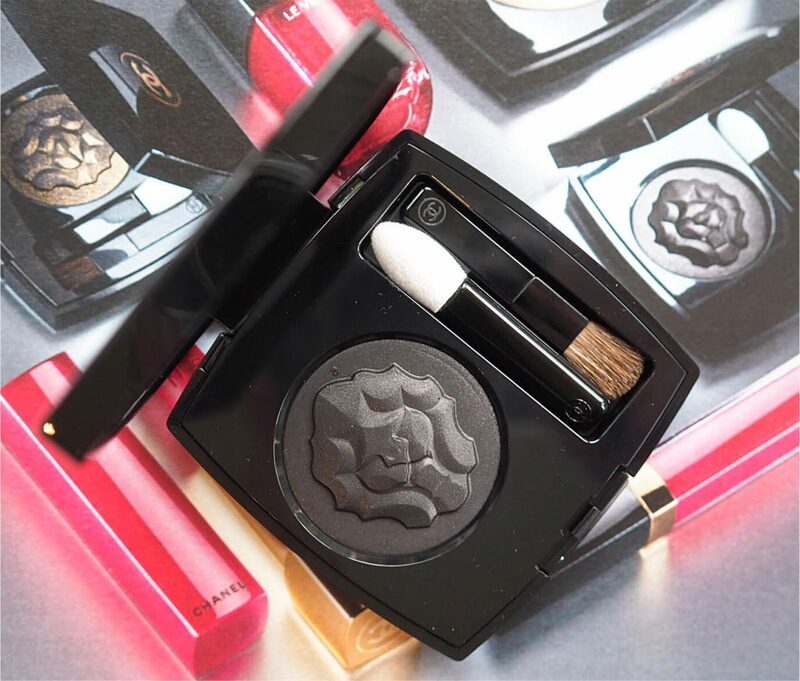 One of the things that the Chanel team does is use symbols that are true to the brand – so the lion was a favourite emblem of Coco Chanel because her star sign is Leo. 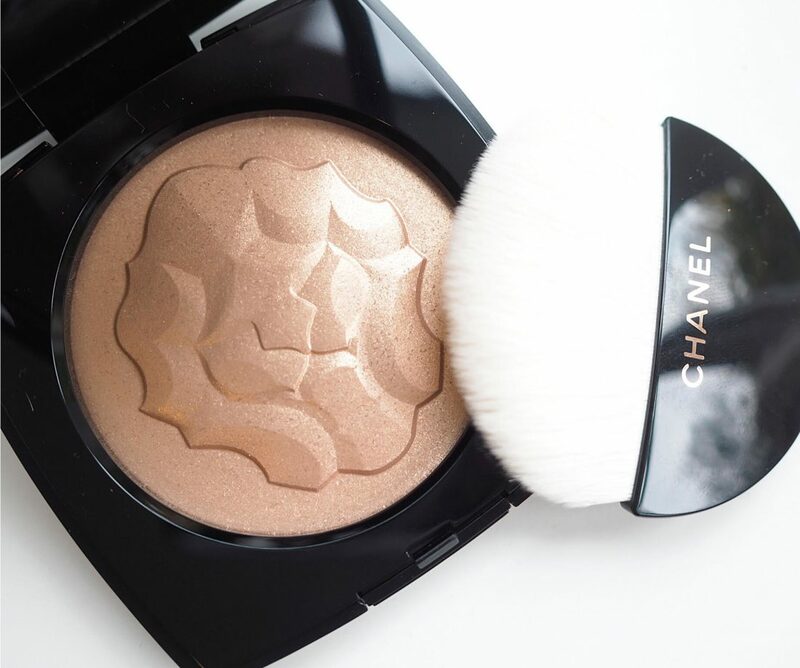 I’m surprised it hasn’t been used before (perhaps it has and I missed it) but it appears readily for Maximalism, on the highlighter, Le Lion de Chanel, £50, above and across the four metallic shadows. A lion emblem is also used in this year’s jewellery collections. This is Cuivre Lame in a golden bronze shade that’s an easy win for party lids. I can’t tell if the lion is roaring or not! The more I look, the more I can’t tell. This shade is Noir Lame (there are two more I don’t have here – Electum Lame and Vert Lame) but it looks matte. 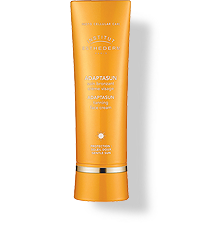 Even when I swatched it, I didn’t detect any sparkle in it although by the name, it must be there. They’re £28 each. 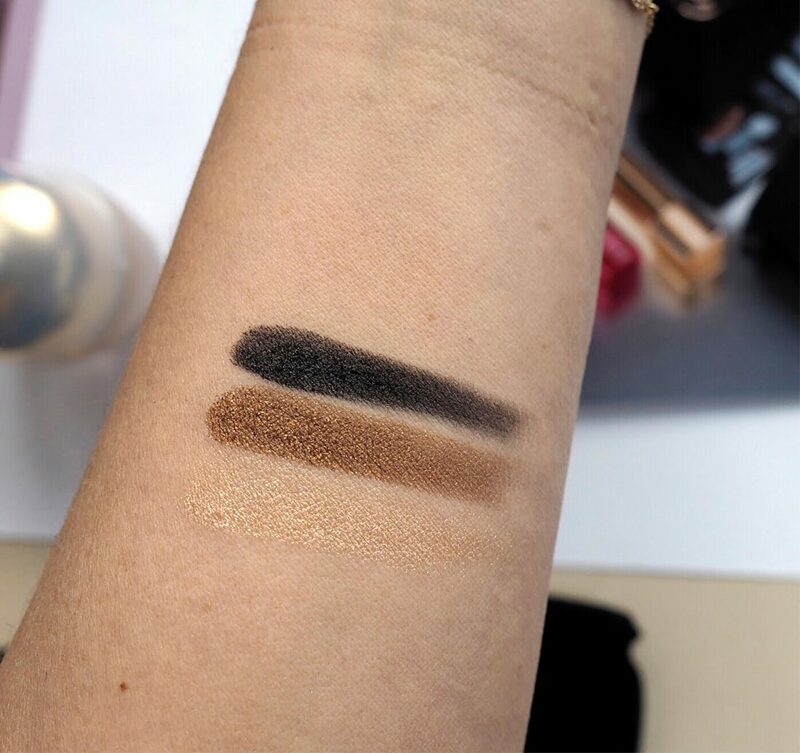 The swatch above shows Le Lion de Chanel highligher, Cuivre Lame and Noir Lame. Next up is nails. I haven’t had a chance to try these yet but the red shade, Flamboyance, is shot through with shimmer, while Opulence is a multi-tone metallic, shifting between pink, gold and bronze. I love both and frankly, can’t decide which to try first. These are £22 each. 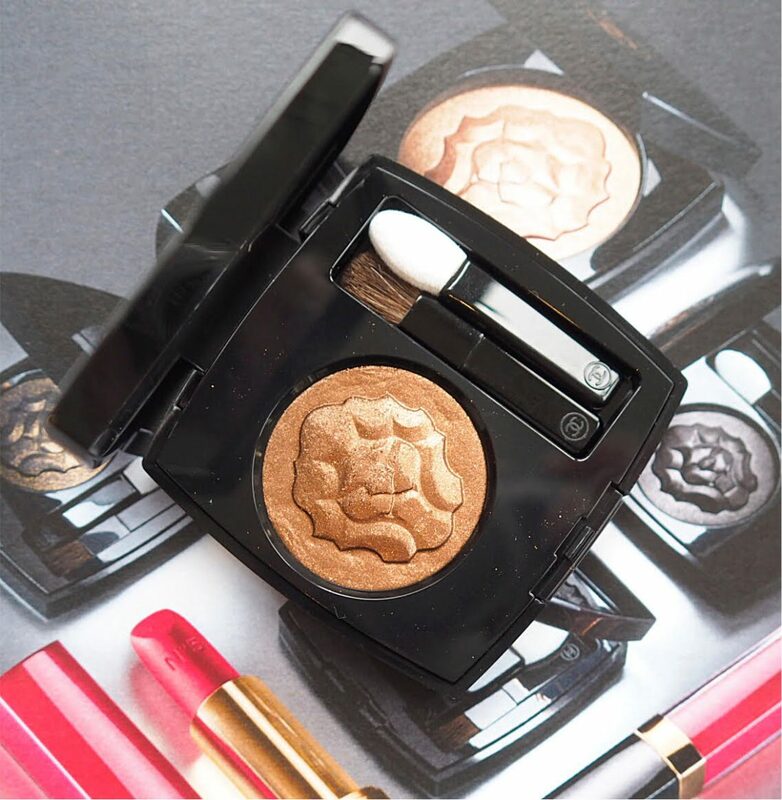 The (welcome) curve-ball in the collection is the La Palette Caractere, £55. 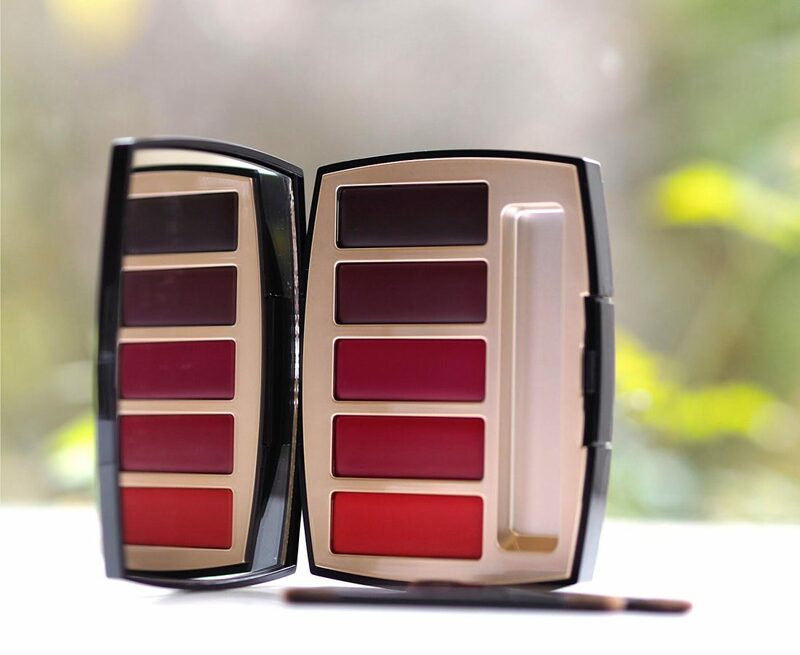 The palette contains five lip shades in different textures – silky, velvet and matte although even in swatching it’s hard to tell which is which, and from silky, I think they mean sheen. 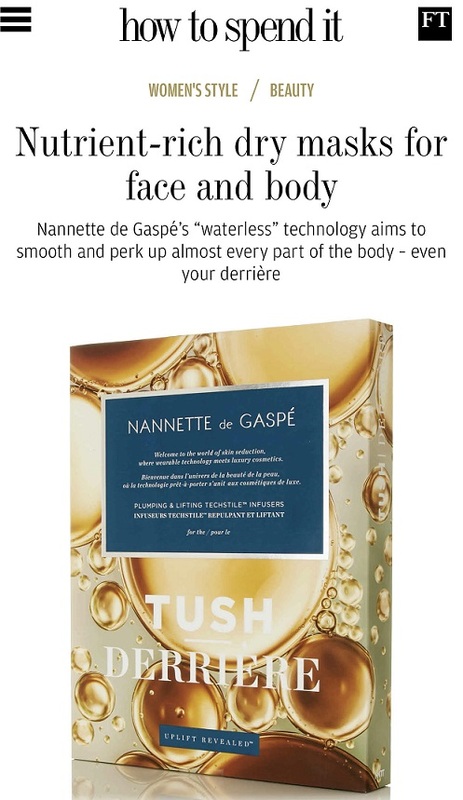 Nonetheless, if you don’t want to cart about multiple lipsticks, whether traveling or in your handbag, this is the solution. In the swatch, I used the brushes that came with the palette and they’re pretty good – not your average hopeless palette brushes. It’s basically an edit of Lucia Pica’s favourite lip shades all in one place. 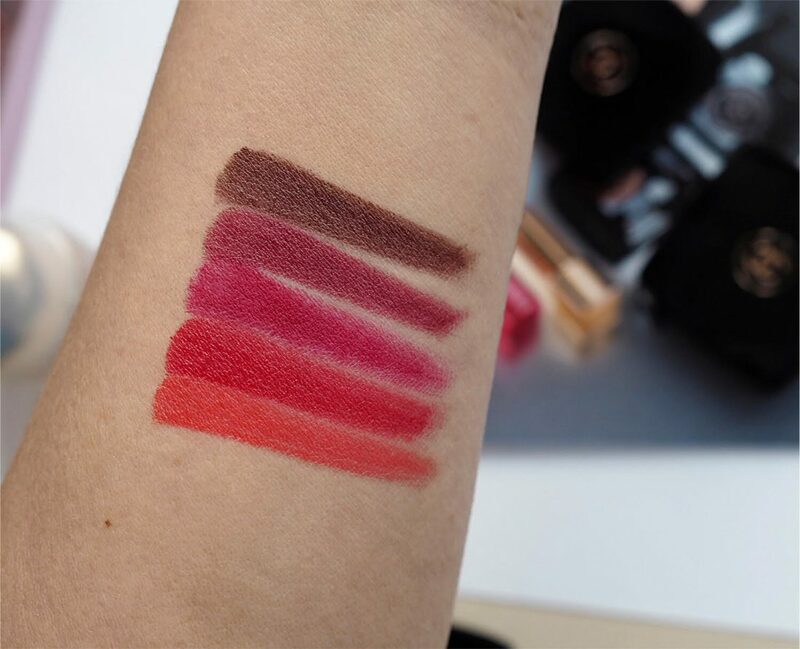 I *think* the two end shades are matte, the middle raspberry-ish shade is velvet and the first two are more sheeny. So, you have a mix of textures as well as colours. It’s not unexpected that these are well pigmented – it’s actually rather satisfying to use a lip brush to apply colour: I’d forgotten how instantly precise you become, paying attention to lines and contours in a way that never happens when you just slick on lipstick from a bullet. Other items I don’t have here are a stunning red cased lipstick named for the legend that is No.5 fragrance in the Rouge Allure Velvet format and two Rouge Coco Glosses in Liquid Bronze and Flaming Lips (yes, it’s red!). 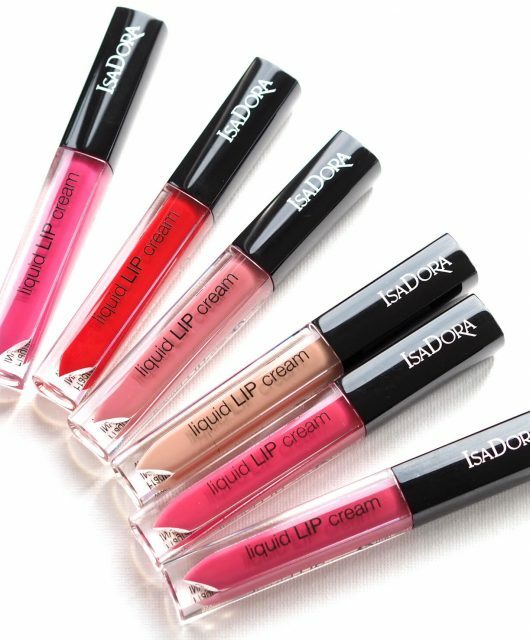 No.5 Lipstick is limited edition, as are all the products shown. You can find them HERE. 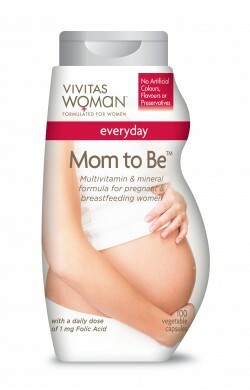 Packaging: Not as dull as it sounds….. But that lip palette! I only ever wear bright red….but somehow this might tempt me in new directions. How gorgeous! This is a beautiful collection, Jane. 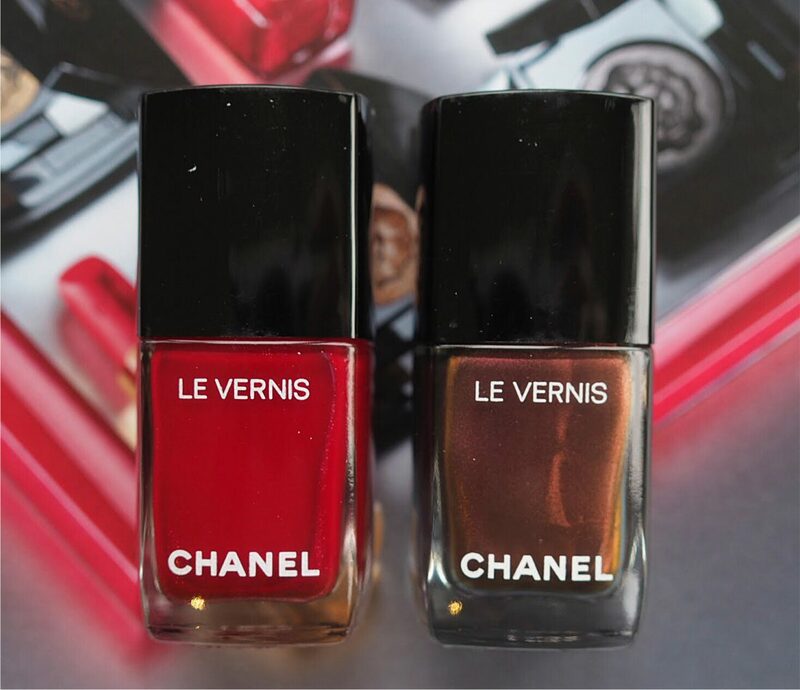 I am so pleased to see a strong Christmas collection from Chanel after a couple of relatively disappointing years. This one is classic Chanel with enough shimmer to make it festive if you want to. Just gorgeous! My friend and I ended up at the counter last week and the lovely staff whipped this collection out for us to look at a day early. 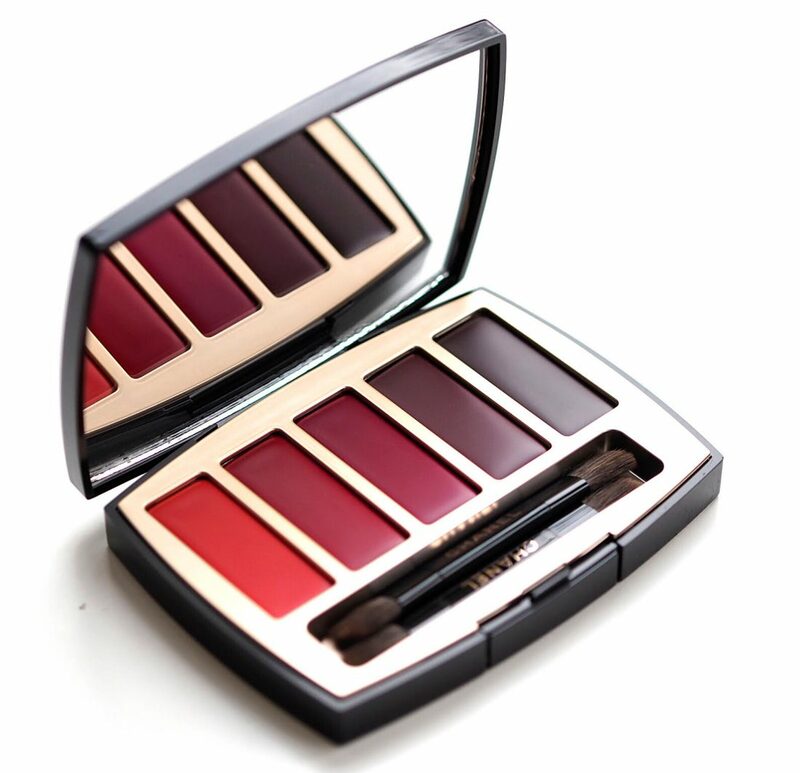 We decided to treat one another for Christmas; the eyeshadows and gloss are so richly pigmented, they are a joy to use. 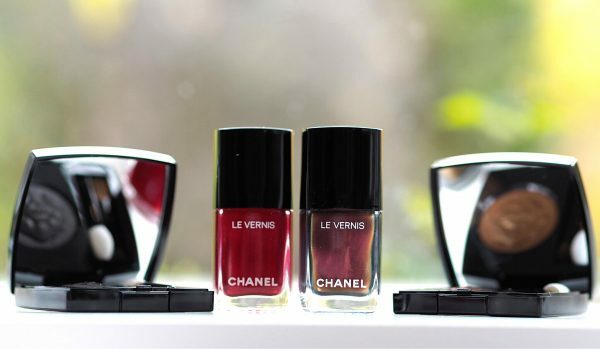 As for the No5 lipstick, it is the epitome of the classic Chanel red lip. But it seems that Chanel have outdone even themselves on the gift wrapping service this year – striking red gift boxes and red ribbons, plus little extras. Really special to give or receive. This was an impromptu visit, so I’ll have to return to do more Christmas shopping.